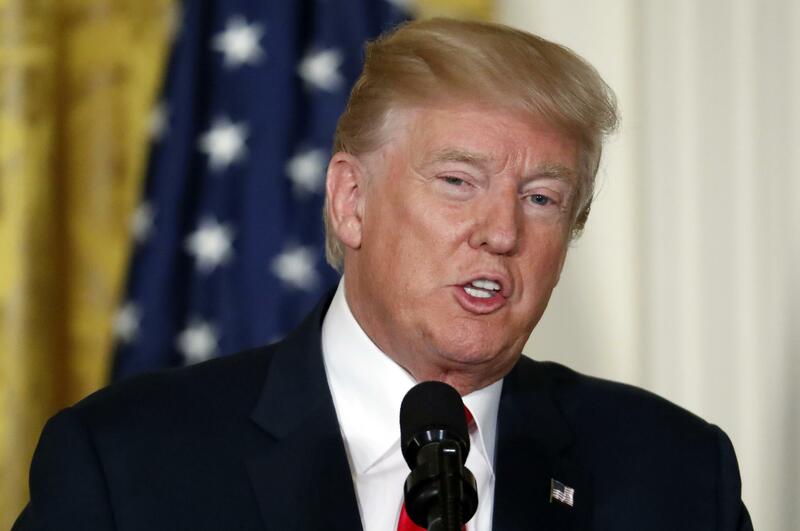 WASHINGTON – President Donald Trump is promising billions to help Texas rebuild from Harvey-caused epic flooding, but his Republican allies in the House are looking at cutting almost $1 billion from disaster accounts to help finance the president’s border wall. The pending reduction to the Federal Emergency Management Agency’s disaster relief account is part of a massive spending bill that the House is scheduled to consider next week when lawmakers return from their August recess. The $876 million cut, which is included in the 1,305-page measure’s homeland security section, pays for roughly half the cost of Trump’s down payment on the U.S.-Mexico border wall that the president repeatedly promised Mexico would finance. It seems sure that GOP leaders will move to reverse it next week as floodwaters cover Houston, the nation’s fourth-largest city, and tens of thousands of Texans have sought refuge in shelters. There’s only $2.3 billion remaining in federal disaster coffers. The FEMA cut is the handiwork of House Appropriations Committee Chairman Rodney Frelinghuysen, R-N.J. – the major force behind a $50 billion-plus 2013 Superstorm Sandy recovery package – and Rep. John Carter, whose home state of Texas is suffering badly from Harvey. Harvey aid is a fresh addition to an agenda already packed with must-do tasks and multiple legislative deadlines: Passing a stopgap spending bill to avert a government shutdown; increasing the government’s borrowing authority to prevent a market-quaking default on U.S. obligations; and paving the way for a GOP rewrite of the U.S. tax code. Trump is slated to meet with congressional leaders next Wednesday. The meeting follows a recess that has seen Trump lambast several top Republicans, especially Senate Majority Leader Mitch McConnell, R-Ky., after the collapse of the GOP health care bill in his chamber. That has wounded the president’s relationship with his own party, and the coming weeks should offer a test of how much clout he has with fellow Republicans. McConnell is scheduled to attend next Wednesday morning’s White House meeting, according to congressional aides. Also going are House Speaker Paul Ryan, R-Wis., Senate Minority Leader Chuck Schumer, D-N.Y., and House Minority Leader Nancy Pelosi, D-Calif., the aides said. “We expect to hear their proposal for getting done all that we have to get done in September,” said Schumer spokesman Matt House. Texas Sen. John Cornyn, the chamber’s No. 2 Republican, is pressing for an emergency infusion of disaster aid pending estimates of longer-term rebuilding costs. Despite Trump’s promise at a rally in Phoenix last week to build a wall along the U.S.-Mexico border even “if we have to close down our government,” congressional Republicans are optimistic of averting a politically damaging shutdown after the fiscal year ends Sept. 30. Like the failed push to repeal former President Barack Obama’s health care law, the tax effort is likely to encounter strong Democratic opposition and divisions among Republicans, leaving its fate uncertain. The massive, ongoing flooding caused by Harvey means that officials still don’t know how much aid the metropolis will need to recover, but it’s expected to be many billions of dollars. A possible outcome is one or even two infusions of immediate aid next month, with a longer-term recovery package coming by year’s end. Published: Aug. 30, 2017, 3:41 p.m.